Learn at home, at your own pace, with our newly updated online IFR Procedures Course prior to taking the IFR seminar with AeroCourse. Learn at home, at your own pace, with our newly updated online IFR Procedures Course prior to taking the IFR seminar with AeroCourse. This online tutorial has been developed to assist anyone taking their IFR Rating by covering complicated IFR procedures which may be difficult to understand. Taking this online tutorial prior to the seminar will help you to gain the most from the seminar. (Now included with the AeroCourse IFR 3 day Ground School) It can also be taken as a stand-alone course to refresh your knowledge of some of the more complex IFR topics. As a student you will learn how to disseminate the information available from the Canada Air Pilot charts, understand the various rules and regulations governing take-offs and approaches under instrument flight, identify the steps involved in selecting an alternate aerodrome and learn different procedures used in flying approaches or entering holds. This program features fully animated and narrated lessons to help facilitate student learning and retention. Our IFR online course takes a look at some of the important topics involved in instrument flight. The material also works well as a refresher for pilots looking to review. The topics covered include the following: Instrument Charts, IFR Approaches, Holding, Take-Off Minimums, Alternates, Minimum IFR Altitudes and Approach Ban. 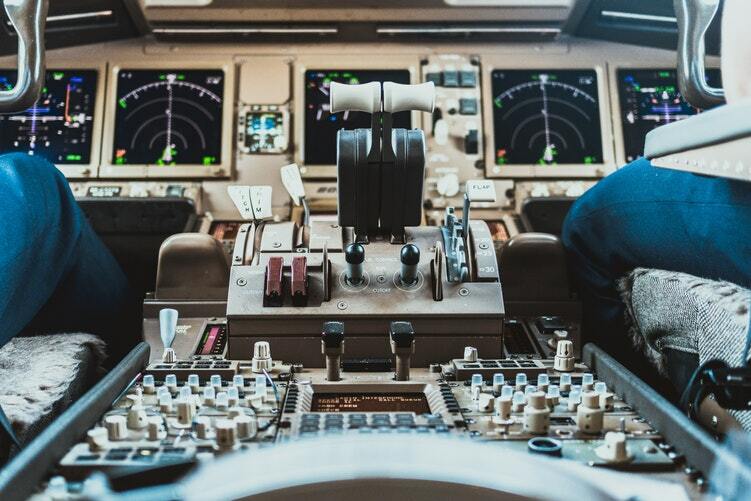 The online course takes approximately 4-6 hours and guides you step-by-step through the Canada Air Pilot approach plates and the more complicated procedures of IFR flight. When you sign-up, an activation code is provided in a confirmation email from AeroCourse (within 24 hours Monday to Friday) that allows you access to the program online. Each lesson is made available to review a total of two times. You have 60 days to work through and complete the online program and once you have completed it, you will have a good understanding of the basic IFR material and be well prepared for the AeroCourse IFR in-class seminar or if it was just a refresher, to fly IFR with confidence. (Please note: high speed internet and speakers are required on your computer. *New*** our online course now works on tablets and iPads. Please let us know if you find any glitches if using this type of device. To purchase the online course for $60.00 plus HST, you may either register online or call 800-461-8857. You might want to combine this purchase with an up to date copy of the Canadian Instrument Rating Workbook (9th edition-2017) for $130.00 plus applicable tax. The workbook will be sent to you by expedited post and should be received within 7 days (Canada). Please note that after registering for the online course, an activation code will be sent via email along with the link to the webpage. Please allow 24 hours to receive the activation code email.